Hi, all! It's a fantastic thing when you start the year with a new publication credit. 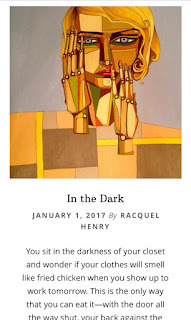 I am happy to report that my flash story, In the Dark, was published on January 1, 2017 with Ghost Parachute Literary Magazine. If you have a second to read it, please do. 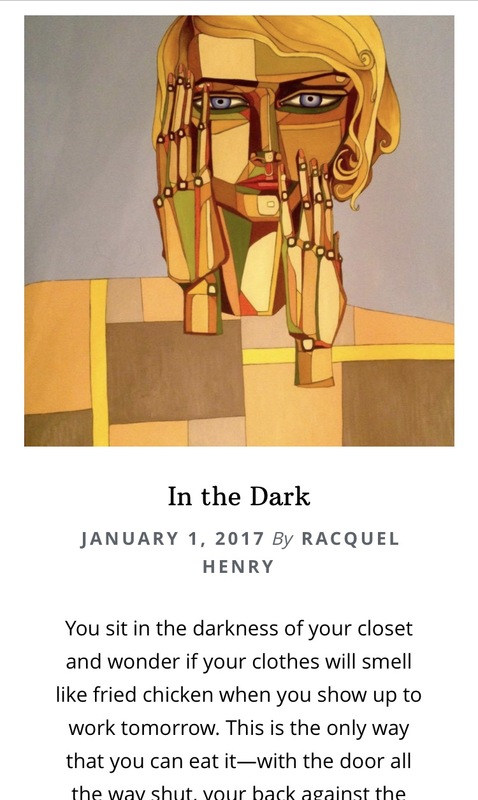 I'm alongside some very talented writers, such as Rachel Kolman and Whitney Hamrick. I am ever grateful to the fantastic Editor-in-Chief, Brett Pribble, who liked the story enough to include it in the January issue. If you have a flash story of your own, I would highly recommend submitting it to Ghost Parachute!